"Terremoto Tempo" is the name of a remix of "Earthquake Weather," made available on Guerolito. The remix was done by Mario C, one of Beck's longtime producers and collaborators. 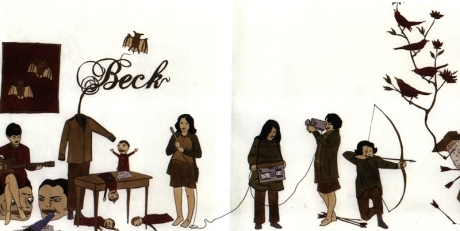 He has done other remixes for Beck in the past (mostly on some Odelay singles). His remix of "Earthquake Weather" strips the funk and soul of the original down into a moodier, more omenous track. It has been growing on me a lot, and I really like this version. There were a number of reports that called this "Terremento Tempo," but I believe "Terremoto" is the proper title.